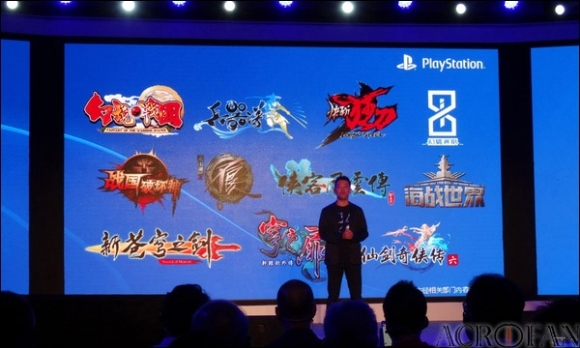 July 29 afternoon, Sony Computer Entertainment Shanghai held a PlayStation conference events in the Intercontinental Expo Hotel in Shanghai, China. This event prior to the game exhibition to be held in Shanghai New International Expo Center in China, "China Joy 2015", was prepared to introduce a new game to be exhibited in the event. 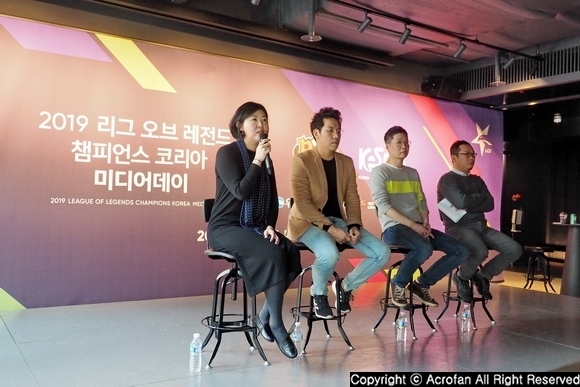 Game to produce the major titles and the Chinese game company to be launched in China in this event and new games, was introduced. 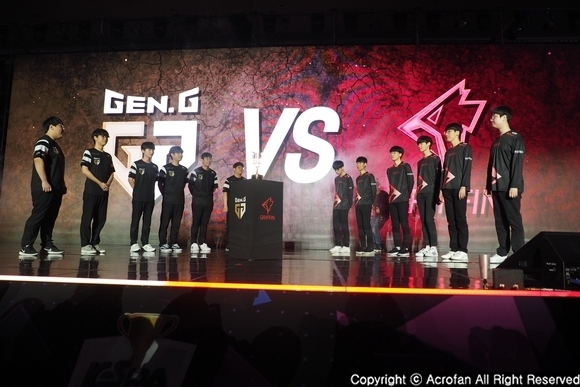 Especially this time of the event, even though made possible the production of console products for domestic sale in Shanghai Free Trade Zone continued, At the same time that video game-related regulatory policy of the Chinese government was abolished, from industry officials It was event that has attracted high interest. 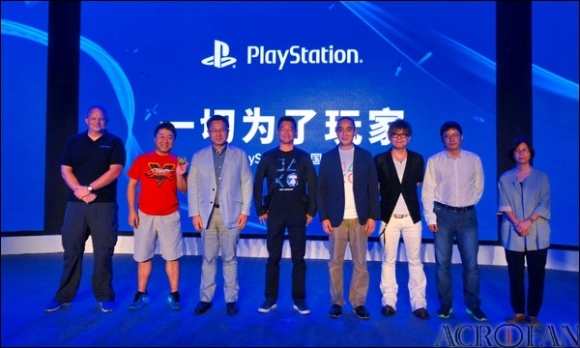 ▲ While many of the officials who participated, PlayStation conference was held. "Project Morpheus" was introduced first. 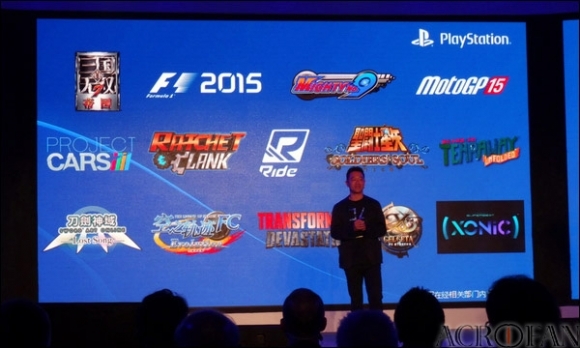 Shuhei Yoshida of global studio president of Sony Computer Entertainment said "’project Morpheus’ had over 20 titles which were introduced through the E3 2015, and attracted interest to the user of all the world", and referred to as "the part of the critics said VR (virtual reality) platform is ‘lonely platform’ and talked that’s anti-social, but we were ready many elements for project Morpheus to reverse"
According to his description, User can enjoy together in one place to perform various role playing in the game to play a different role to the user otherwise the user wearing the Morpheus. Yoshida representative chasing the user that the user is not in the monster wearing a to introduce Morpheus a "Monster escape" of ‘The Playroom VR’, users who do not wear is, achieve the objective while fled to avoid the monsters Needed for the user, regardless of whether the wearer projects Morpheus announced that it has been able to share one fun together. 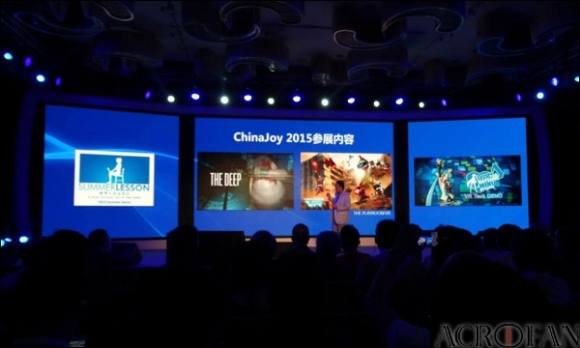 In the "China Joy 2015", "project Morpheus," "Summer Lesson" and "The Deep (The Deep)" in demo, ‘Sega feat Hatsune Miku project:. 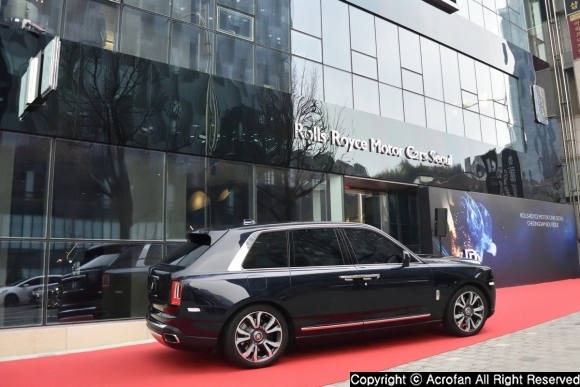 VR technology demonstration’, ‘The Playroom (VR monster escape)’ space is provided which can be seen to experience the like. ▲ "Project Morpheus" including the "Summer lessons", all four of the game will showcase. 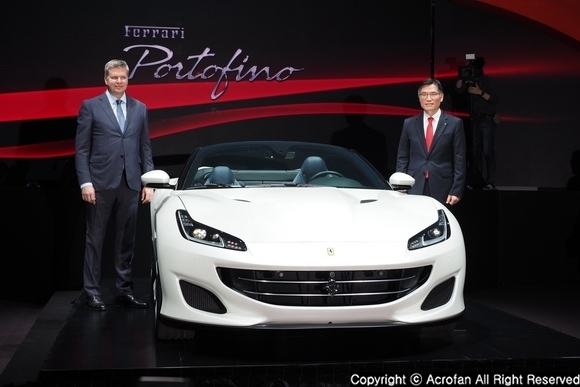 ▲ various AAA grade of the game is scheduled to be released focuses on the China market. 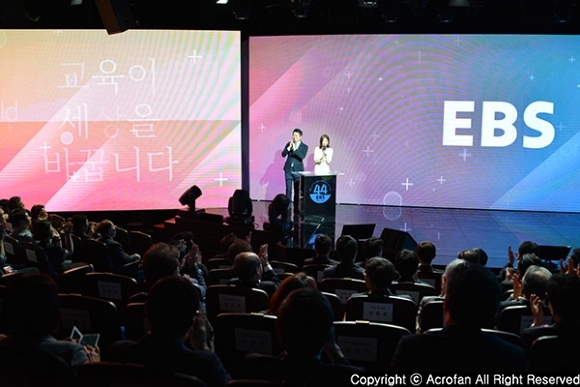 ▲ active more than 70 Chinese game to participate in China's development company will showcase to the user. 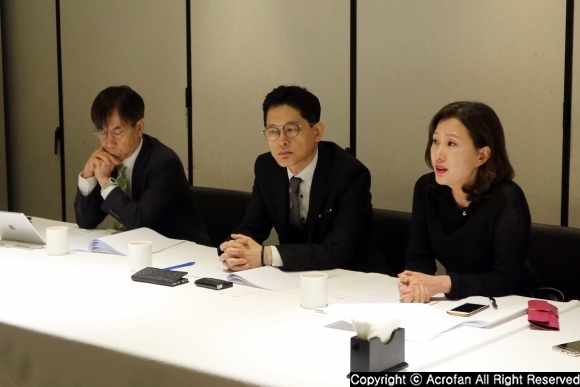 Perfect World revealed collaboration with overseas development company, announced such as "Knights of Valour" of International Games System and ‘War frame’ of digital Extreme's. 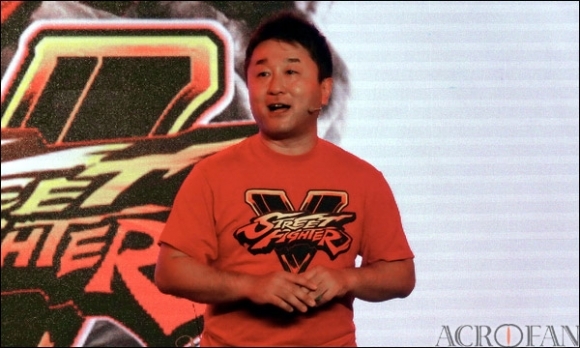 ▲ Yoshinori Ono producer called for attention to ‘Capcom tour’ and "Street Fighter V". 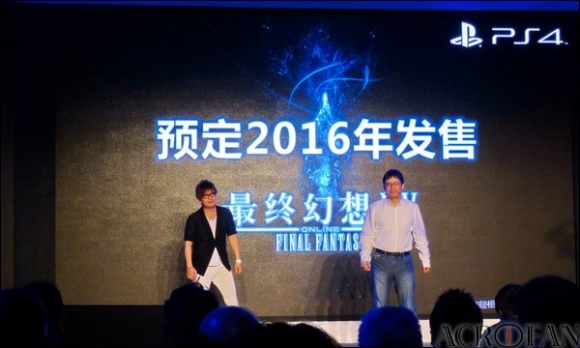 ▲ Chinese version of ‘Final Fantasy XIV: Heavensward’’s will be out at 2016 for PS4. 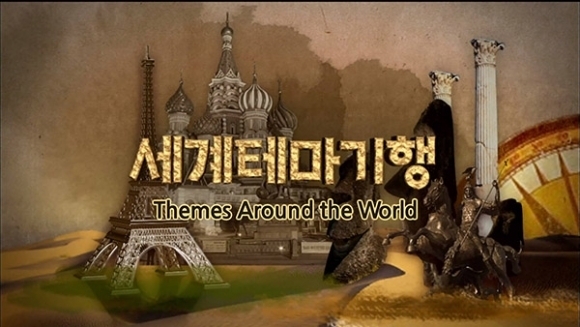 Special guests cheered the movements of SCESH and Chinese users. Yoshinori Ono, producer of ‘Street Fighter V’ said He needs to cheers of user for renew of ‘Street Fighter’, and hope to cheer Shanghai fanals of Capcom Tour, August 1. Naoki Tanaka, producer of "Final Fantasy XIV" thanked to Shanda and SCESH for Chinese version of "Final Fantasy XIV Heaven Sword"
in the end of the event, the World Premier of JoyCity’s new basketball game ‘Freestyle 3 ON 3’ revealed. It said ‘Freestyle 3 ON 3’ has been able to enjoy the PS4 also fun street basketball through a teaser video, which the game has high popularity in China, ‘Freestyle’. 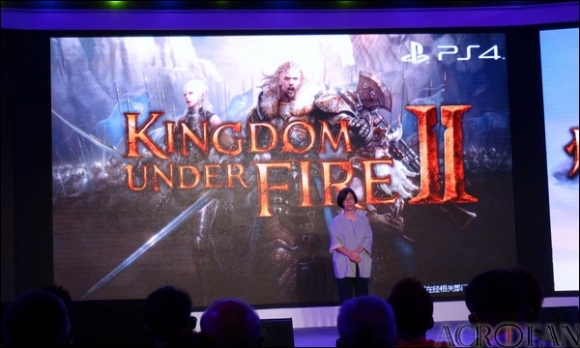 ▲ latest play the video of ‘Kingdom Under Fire II" was also revealed. 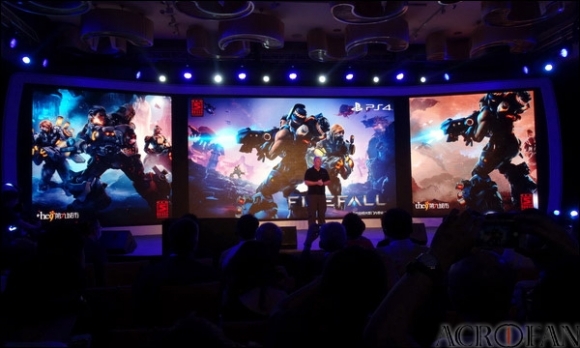 ▲ ‘Firefall’ for PS4 is ready to meet with China user. 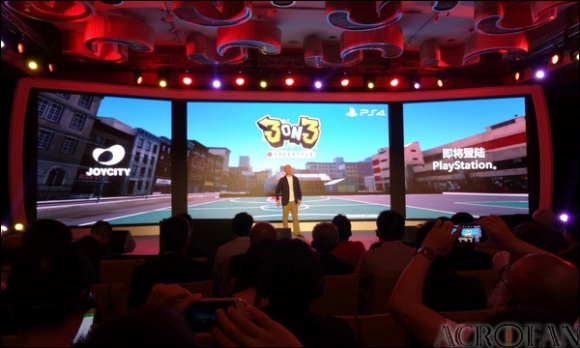 ▲ ‘Freestyle 3 ON 3’ of JoyCity revealed for World Premire.